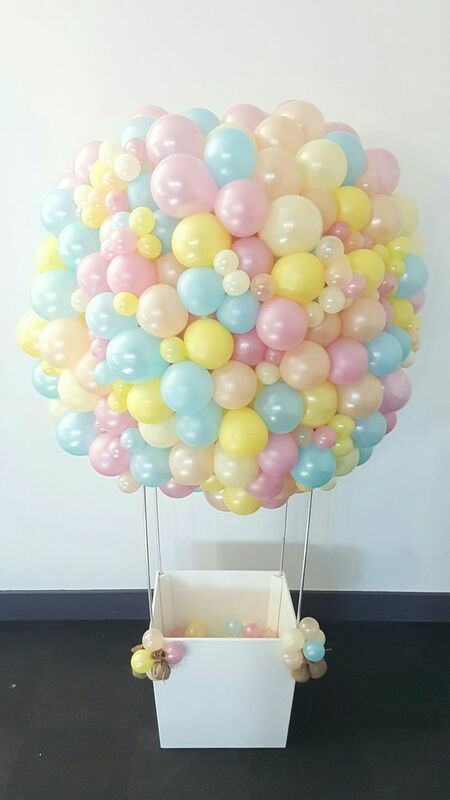 One of the biggest trends in Organic design, these custom built sculptures are perfect for Christenings, Baby showers or Birthday parties! One of the most common sculptures that we get asked to build are these amazing Organic Hot Air Balloons. They are a great statement piece that is both simple and detailed at the same time. The photo above uses pastel colours that blend together perfectly and would work wonders at a 1st Birthday, Christening or Baby Shower. We are able to customise the colour scheme to your specifications. 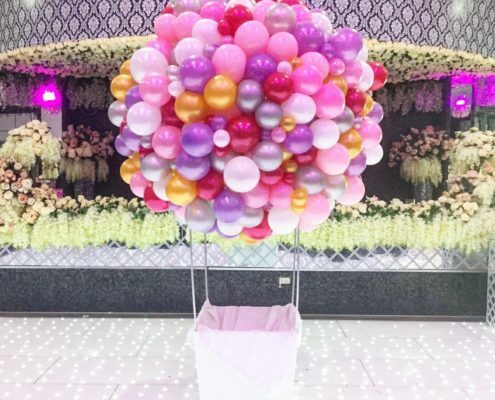 Go for a multibright colour scheme for a child’s birthday party, Red/Gold/Black/Yellow for a circus theme or something a little more elegant for a Wedding (pictured below). We supply the framing for the whole structure (including the base). If you would like Vinyl printing on the base of the structure (as pictured below) send us an email and we can start working towards your event! PLEASE TAKE NOTE. 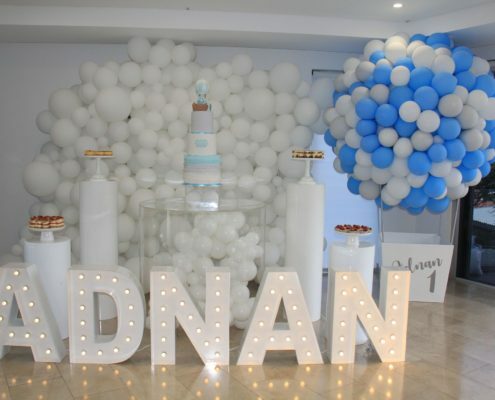 There are many variables to take into account when planning for your balloons. Some venues do not allow helium filled balloons. Please make sure to check with the venue before ordering. Changes in temperature affect the size and clarity of helium balloons. If you move your balloons directly from a warm to cool/air conditioned area it may result in the balloons deflating. 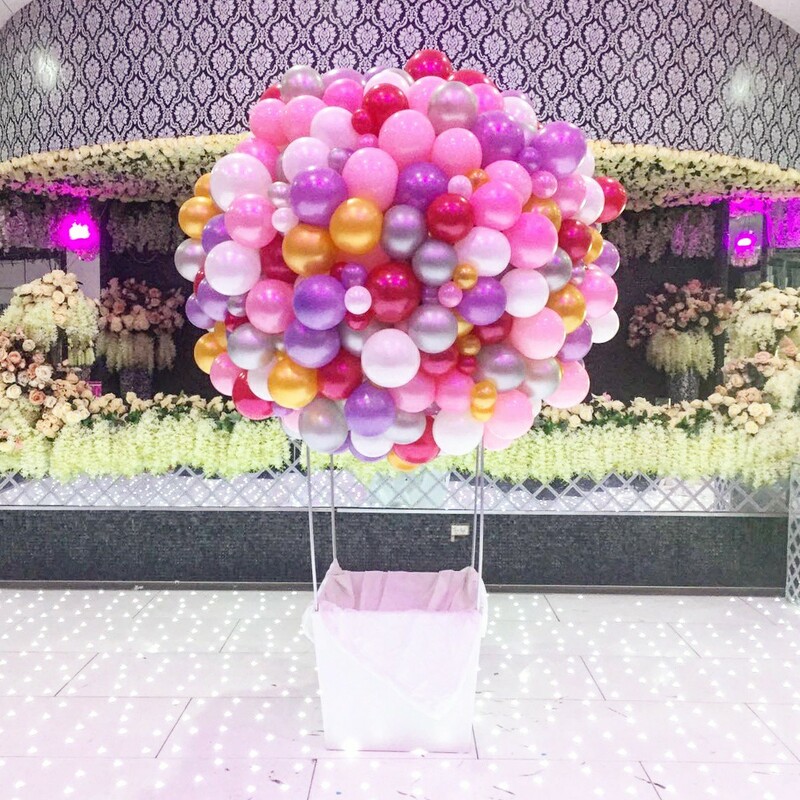 If you are planning on hosting your event in an outdoor space, the balloons will be likely to oxidise quicker or pop/deflate. As such, we recommend finding a spot in the shade or going for an Air filled arrangement instead! 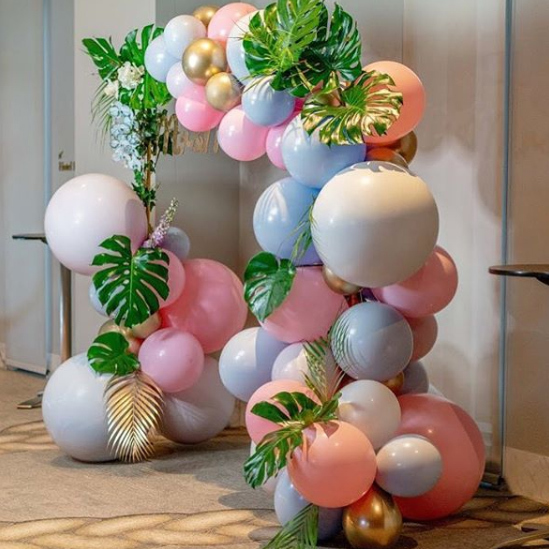 If you purchase your balloons the day before your event, make sure to store your balloons in a room temperature area that is out of direct sunlight. Do not leave your balloons sitting in your car for long periods of time as this will likely result in popping/deflation. For more information on how to make your balloons last longer visit our FAQ page and read up on Balloon Shine and Hi-Float. If for any reason this product is not suitable for your space, there are other options available! 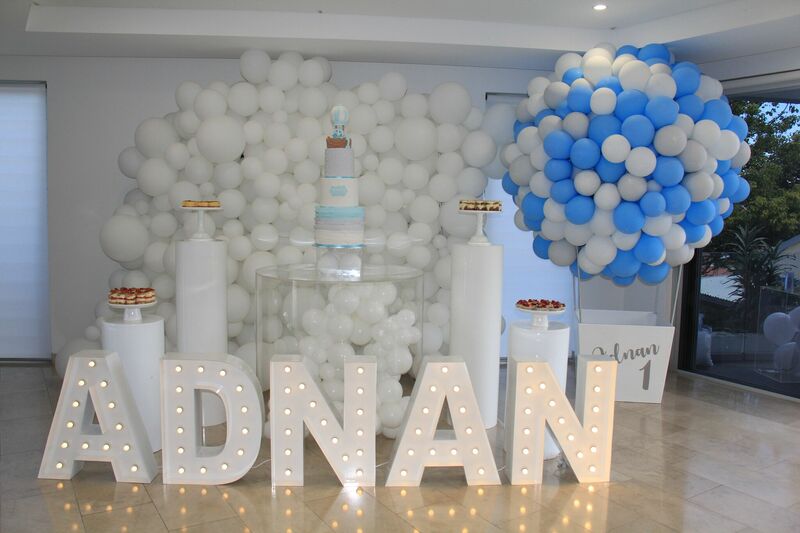 Browse through our Air filled arrangements or Helium arrangements for alternatives. Send us an email to start designing your custom built Hot Air Balloon! 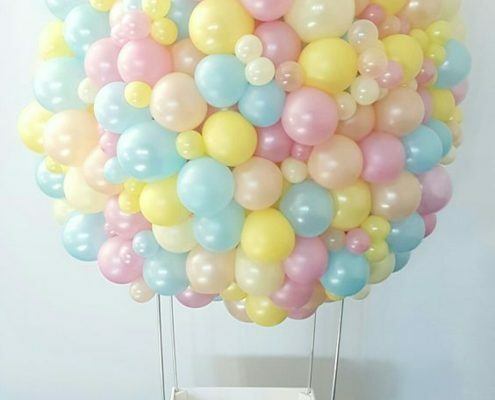 Follow Balloons Online on Pinterest.